The panel will be called ‘Star Trek: Celebrating 50 Years’ and will reveal new information about the upcoming TV series, and will feature a star-studded panel including William Shatner, Michael Dorn, Brent Spiner, Jeri Ryan, and Scott Bakula. Comic-Con will also be where Paramount will be hosting the world-premiere of ‘Star Trek: Beyond,’ which will feature a meet and greet with the film’s cast and crew before the screening, and a live concert by the San Diego symphony orchestra after the movie. Aside from the main events, there will also be other panels including: ‘Trek Talks: Science, The Smithsonian and Star Trek’, ‘Star Trek: The Roddenberry Vault’, ‘Trek Talks: Star Trek and NASA Boldly Go’, Star Trek The Official Starships Collection: Designing and Filming Starships’, and ‘Star Trek: Five Decades of Comics.’ Check out all the details of the panels in the extensive press-release, and then share your thoughts and excitement about ‘Star Trek’ at Comic-Con in the comments section below! NEW YORK – July 5, 2016 – Star Trek invites fans to celebrate the iconic franchise’s 50th anniversary at Comic-Con International 2016 in San Diego with a lineup of panels, events, activations and merchandise exclusives from July 21-24. Fans will be able to truly immerse themselves in a full weekend of Star Trek events and activities at the world-famous convention, including six panels, the first showing of the 50 Artists. 50 Years. art exhibit, a first look at MAC’s new Star Trek makeup collection, and exclusive merchandise. Also, fans can join the conversation and celebration on social media using the hashtag #StarTrek50. In the centerpiece of the weekend, Star Trek: Celebrating 50 Years will take over Hall H on Saturday, July 23 (2p.m. – 3p.m. ), when the legendary William Shatner (Star Trek) and Star Trek alumni Scott Bakula (Star Trek: Enterprise), Michael Dorn (Star Trek: The Next Generation, Star Trek: Deep Space Nine),Jeri Ryan (Star Trek: Voyager) and Brent Spiner (Star Trek: The Next Generation) take the stage to reflect on 50 years of Star Trek and its indelible mark on our world, as well as what’s to come as the franchise gets ready to boldly return to the small screen. The conversation will be moderated by Bryan Fuller, executive producer of the new Star Trek television series coming to CBS All Access, following its network premiere in January 2017. San Diego Comic-Con marks the worldwide debut of the art exhibit 50 Artists. 50 Years. at Michael J. Wolf Fine Arts in San Diego’s Gaslamp District (363 Fifth Ave #102, San Diego, CA 92101). Created to commemorate Star Trek’s 50th anniversary, 50 Artists. 50 Years. features Star Trek-inspired works by 50 artists from around the globe, including the last piece created by Leonard Nimoy, a renowned photographer in his own right. The exhibit will include original 2D and 3D pieces by the artists, who selected a variety of mediums — illustrations, photographs, sculptures, paintings, graphics and more — to express their love of the franchise and the inspiration gained from it. MAC and Star Trek have joined forces to deliver fans exclusive early access to the cosmic new makeup collaboration inspired by the women of Star Trek. Fans can jump aboard the transporter, located in Children’s Park across from the Convention Center, to explore strange new worlds for photo ops and to shop the 25-piece collection, ranging from lipstick to nail polish to eye shadows, six weeks early in a futuristic and unique immersive experience. Star Trek fans will have an assortment of one-of-a-kind products to choose from, including the debut of a Mega Blok mini-Enterprise in red, yellow and blue. The mini-Enterprises will be available at Star Trek licensee booths throughout the show. Locations and times of the giveaways will be revealed via Twitter (@StarTrek). ANOVOS will feature its latest Star Trek Beyond items, including the Tunic, Dress, Survival Jacket and the Hand Phaser prototypes on display. AdditionalStar Trek items will also be available, with an SDCC special that gives fans 15% off purchases at the booth (includes take-home items available at the booth and items available on the ANOVOS website). DK Publishing will feature The Star Trek Book with author signings and a free poster giveaway. Author Paul Ruditis will be signing at the following days/times: Friday, July 22: 10a.m. – 11a.m. ; Saturday, July 23: 4p.m. – 5p.m. ; and Sunday, July 24: 11:30a.m. – 12:30p.m. 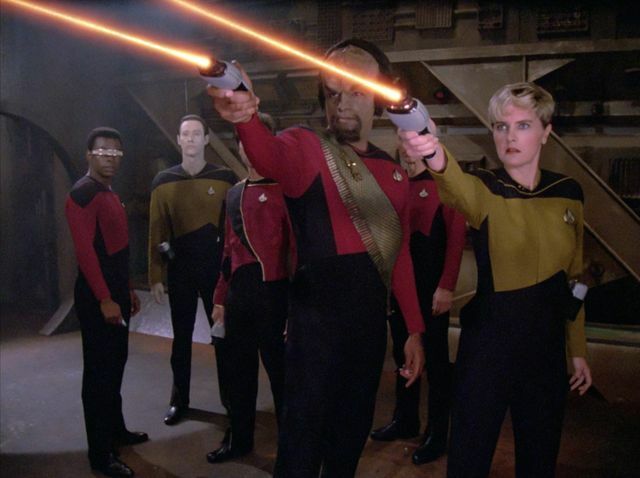 Diamond Select is showcasing several new Star Trek collectibles, including the Star Trek: The Next Generation Electronic Phaser, a Star Trek Movie U.S.S. Reliant Electronic Starship, Star Trek: The Original Series Romulan Bird-of-Prey Electronic Starship, Star Trek Select Movie Khan Action Figure, and Star Trek Select Borg Action Figure. They will also offer an exclusive Star Trek: The Original Series 50th Anniversary Gold U.S.S. Enterprise Starship. A huge selection from the Starships Collection, including a new Mirror Universe variant of the NX-01, will be on display at their booth. They will be hosting sweepstakes throughout the convention, with a drawing for Star Trek product on Day 1 (Thursday). A grand prize drawing for The Official Starships Collection will be held after Comic-Con ends. Attendees can enter the various sweepstakes by visiting booth #1504 and scanning their badges. Entertainment Earth will offer a number of convention exclusives, including Star Trek: The Original Series Amok Time Kirk vs. Spock Bobble Heads with sound, a Star Trek: The Original Series 24K Gold Plated Enterprise Monitor Mate and “The Big Bang Theory” characters in Star Trek: The Original Series uniforms. The 3¾-inch figures of Sheldon, Penny, Howard, Raj, Amy, and Bernadette come equipped with their very own communicator, phaser and tricorder accessories. Leonard comes in the Captain uniform. The announcement of their final exclusive (with regard to the Bif Bang Pow! Pin MateTMwooden figure line) will be forthcoming. Hallmark is offering a convention exclusive Star Trek U.S.S. Enterprise Starship Keepsake Ornament at their booth. The 2016 Star Trek Keepsake Ornament collection and the Star Trek itty bittys® Collector Set will be available at Nerd HQ in the Children’s Museum. They will have an itty bitty exclusive button giveaway at Nerd HQ, as well as unveil the new Star Trek Squeely. Her Universe will offer an exclusive Star Trek t-shirt. The 3rd annual Her Universe Fashion Show and design competition with Hot Topic is back at San Diego Comic-Con and will take place July 21 from 6p.m. – 8.pm. Icon Heroes will offer limited edition Mirror Kirk and Mirror Spock statue paperweights, limited to 1,000 pieces each, alongside their Star Trek: The Original Series Kirk and Spock paperweights that are on display. IDW will feature the trade paperback of “Manifest Destiny,” plus selections from their entire Star Trek line. Light Speed Fine Art will be releasing 50 new pieces of art that memorialize 50 years of Star Trek. 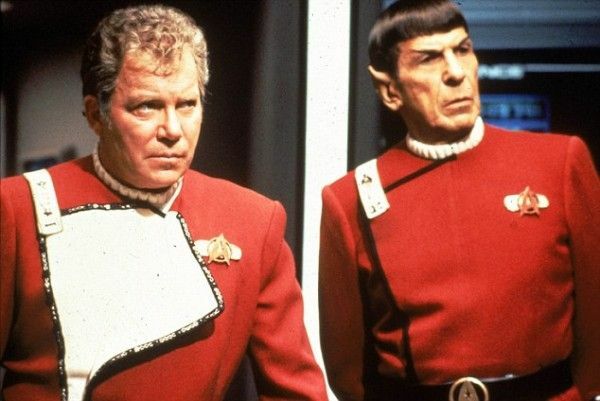 Star Trek talent William Shatner, Brent Spiner and Michael Dorn will be available for photo opportunities. Mattel’s booth will feature a special Star Trek Kubros Spock from Mega Bloks for fan photo ops. They will also offer an SDCC Barbie® Star Trek™ 50th Anniversary Doll Orion Vina Doll and an SDCC exclusive Hot Wheels® Star Trek: ’64 Buick Riviera & Spock 1:64 Figure. NECA is offering their 2016 convention exclusives for sale, including limited edition Action Figures and HeroClix, and will be displaying several Star Trekproducts including the Klingon Bat’leth foam prop replica, the Star Trek: Attack Wing Borg Cube with Sphere Port Premium Figure, Star Trek: FrontiersBoard Game, and more of their upcoming Star Trek: Attack Wing Expansion Packs. The Official Star Trek Shop will offer an array of the latest Star Trek products to fans. QMX is featuring a range of Star Trek products for sale at Comic-con, many for the first time, including a 50th anniversary magnetic badge, U.S.S. Enterprise bandana, and Kirk and Spock 1:6 scale articulated figures. They will also offer several exclusives, including a 50th anniversary lapel pin and the Starfleet Academy Challenge Coin. Rubies will feature an array of Star Trek costumes and accessories, including Deluxe Captain Kirk, Spock, Scotty and Uhura costumes, a phaser weapon, and Spock ears. 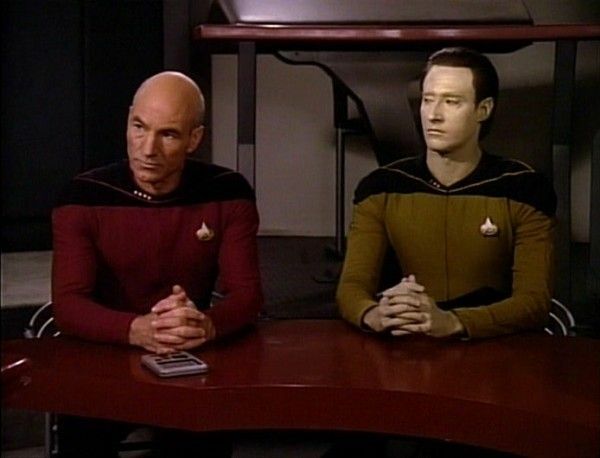 Simon & Schuster will have the latest releases available for purchases: TOS: Legacies: Captain to Captain, TOS Legacies: Best Defense, and TOS: Elusive Salvation, along with the hilarious TNG: Warped! : An Engaging Guide to the Never-Aired 8th Season. Thrilling novels, such as TOS: The Latter Fire, TNG: Armageddon’s Arrow, and TOS: Child of Two Worlds, will be available as promotional giveaways throughout the convention. An exclusive Star Trek Timmy Button will be given out every day with a password that fans can find by following @ThinkGeek. There will be a total of five different buttons, one style a day. The Wand Company will be demoing the new Star Trek: The Original Series Communicator Bluetooth Handset ($150) and will have the Star Trek: Phaser Remote Replica Universal Remote Control available for purchase ($150). RockLove’s Star Trek Sterling Starfleet Trillion necklace will also be available at the ThinkGeek both. The necklace celebrates 50 years of the iconic Starfleet insignia silhouette and features a 7mm trillion-cut cubic zirconia gemstone. Mezco’s 1/12 scale, detailed sculpt of Commander Spock in an exclusive redress from the Mirror Universe is available for $80. Titan Publishing will have 100 copies of a limited-edition Comic-Con exclusive of Star Trek: 50 Artists. 50 Years. available for $60, as well as the regular edition available for $40. They will also have The Autobiography of James T. Kirk in paperback. Titan Merchandise will debut their 4.5” TITANS vinylEnterprise and a Comic-Con exclusive twin pack of their 3” TITANS Star Trek vinyls – the Kirk & Spock Amok Time Edition – from their upcoming Star TrekTITANS vinyl collection. USAopoly will have RISK®: Star Trek 50th Anniversary Edition, TRIVIAL PURSUIT®: Star Trek 50th Anniversary Edition and Star Trek Panic® available for purchase in their booth. FunEdibles, the new line of tasty collectible vinyl figures, will be revealed — including its Star Trek characters Captain Cup Kirk, Spock Tart, and Gorn Bread Muffin. Fans will have the chance to take a photo with a life size Spock Tart FunEdible figure by following the #funedibles on social media to find out where he will be. 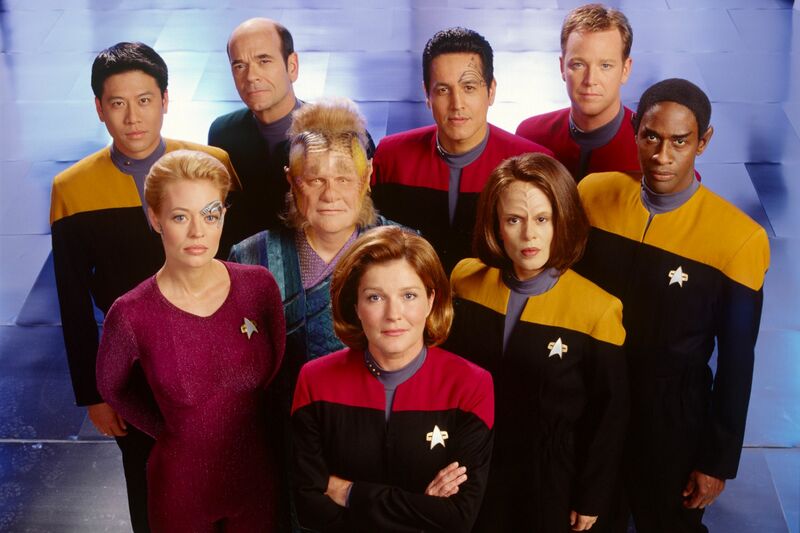 Star Trek celebrates its 50th anniversary in 2016. 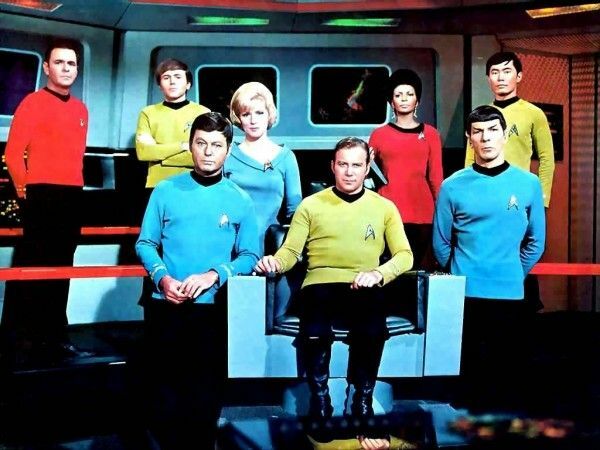 Born from the mind of Gene Roddenberry, the original Star Trek series debuted on September 8, 1966 and aired for three seasons — a short run that belied the influence it would have for generations. Launching the careers of William Shatner and Leonard Nimoy, the series also broke new ground in storytelling and cultural mores, providing a progressive look at topics including race relations, global politics, the environment, and more. It spawned five more television series and 13 feature films, spanning the course of half a century. A new Star Trek television series, produced by CBS Television Studios, will launch with a special preview broadcast on the CBS Television Network in January 2017. The premiere episode and all subsequent first-run episodes will then be available in the United States exclusively on CBS All Access, the Network’s digital subscription video on demand and live streaming service. The next chapter of the Star Trek franchise will also be distributed concurrently for television and multiple platforms around the world by CBS Studios International. 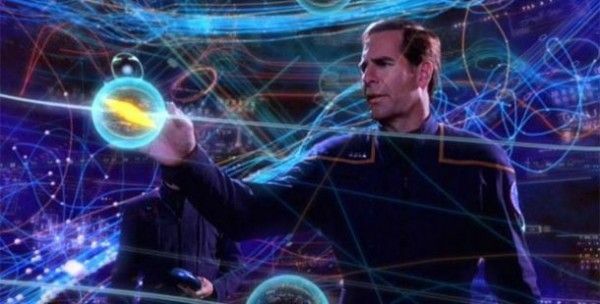 The series will be produced by CBS Television Studios in association with Kurtzman’s Secret Hideout, Fuller’s Living Dead Guy Productions, and Roddenberry Entertainment. 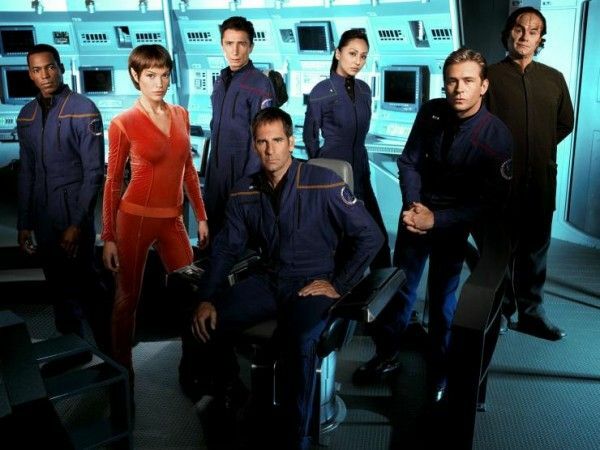 Alex Kurtzman, Bryan Fuller, Heather Kadin, Gretchen Berg & Aaron Harberts, Rod Roddenberry, and Trevor Roth will serve as executive producers.